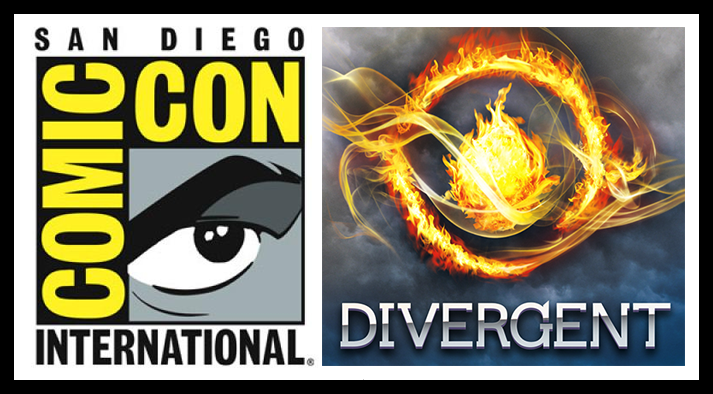 The Divergent Life: 'Divergent' Will Be Showcased at Comic Con 2013! 'Divergent' Will Be Showcased at Comic Con 2013! Divergent is going to Comic Con! Most of the cast will be present, and the first ever footage will be shown! From Hypable: Divergent’s movie stars, director, and author will appear at San Diego Comic-Con on Thursday, July 18 and screen the first footage from the highly-anticipated book to film, Summit announced this morning. Divergent stars Shailene Woodley (Tris), Theo James (Four), Miles Teller (Peter), Maggie Q (Tori), Ansel Elgort (Caleb), Mekhi Phifer (Max), Ben Lamb (Edward), Ben Lloyd-Hughes (Will) and Christian Madsen (Al) will appear on a panel at San Diego Comic-Con on Thursday, July 18 in the convention center’s coveted Hall H. They will be joined by series author Veronica Roth and director Neil Burger. Divergent will also have a presence on the convention room floor, offering up “exclusive premium promotional items.” At the Summit booth, stars will sign autographs for fans.